Laguna Hills, CA – Similar to the doves out in the back yard trees the left coast family plan to stay close to home to celebrate Opening Day of another Minor League season. It may sound a little crazy to the average fan of baseball, but we obviously have a special attachment to the professional level of the game. Even though my son is not scheduled to pitch today we still embrace the official start to his season based on the simple fact for a genuine shared love of the game throughout the household. 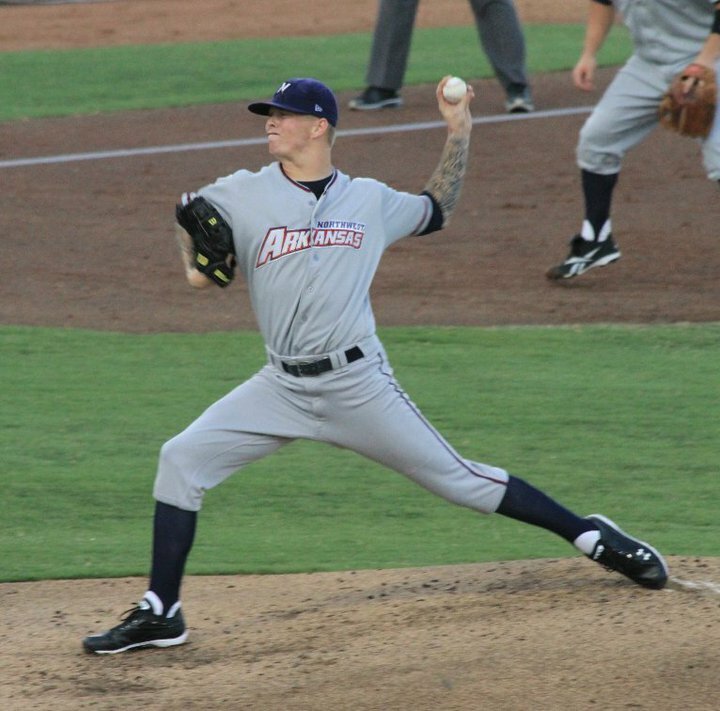 John Lamb enters his third start of a full-season assignment in professional baseball with the Kansas City Royals after signing his first contract in June 2008 immediately after the draft. First time my son will not be the Opening Day starter for his team in professional baseball and likely not to be the last before he is done playing. During a phone call with my son a couple of nights ago John seemed to be in great spirits for the start of the season and happy to be the Friday night starter at Arvest Ballpark in Springdale, AR. We talked briefly about his Kauffman stadium appearance on April 2 against fellow farm-hands on the Omaha Storm Chasers, Triple-A affiliate for the Royals. He had nothing but fantastic things to share about the experience and was truly touched by the warm ovation as he left the mound in the third inning. His focus now is clearly the season ahead and helping his team win games. Today the Northwest Arkansas Naturals, Double-A affiliate of the Kansas City Royals, home and season opener against the San Antonio Missions, Double-A affiliate of the San Diego Padres at 6:00PM C.T. from Arvest Ballpark will start the quest of repeating the Texas League Championship run from last year. John Lamb and many fellow teammates from the 2010 Texas League Championship roster will make every effort to succeed on the field, I’m sure. Of course, I have yet to meet any person around baseball that pronounced their desire to lose ballgames. Everyone associated with professional baseball wants to win the difference is talent, work, execution and a dash of luck. The Lamb’s plan to stay close to the house today for our personal celebration of the 2011 Minor League Opening Day celebration. We will simply embrace the fact my son is still living his dream of playing professional baseball. The fact that John Lamb has been placed on the Major League Baseball Top 50 Prospects for the 2011 season really has zero impact on the household tendencies. A recent surge of media attention on my son’s professional baseball career has only added to the level of local communications we experience around town. Since John is a pitcher we really only stay close to home on these special days, or when he takes the ball to the mound. The official announcement of pitching rotation with John throwing tomorrow gives us back to back days of excitement to follow the Naturals start of the season. The baseball season continues to bring out multiple feelings around our household but Opening Day games and ceremonies remind us all of our true love for the game. Our special experiences are true blessings for any family that really loves the great game of baseball.